Laservex is a puzzle competition - your objective is to solve the most levels. The goal of each level is to hit a set of targets using lasers. The lasers can be reflected using mirrors. You can create your own levels and keep track of your progress on the leaderboard. 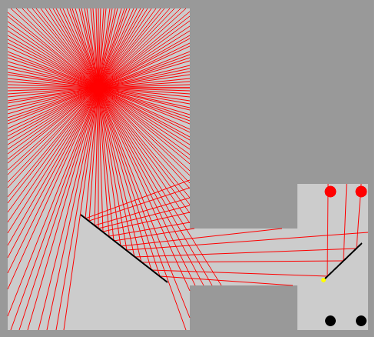 Laservex uses HTML5 canvas.